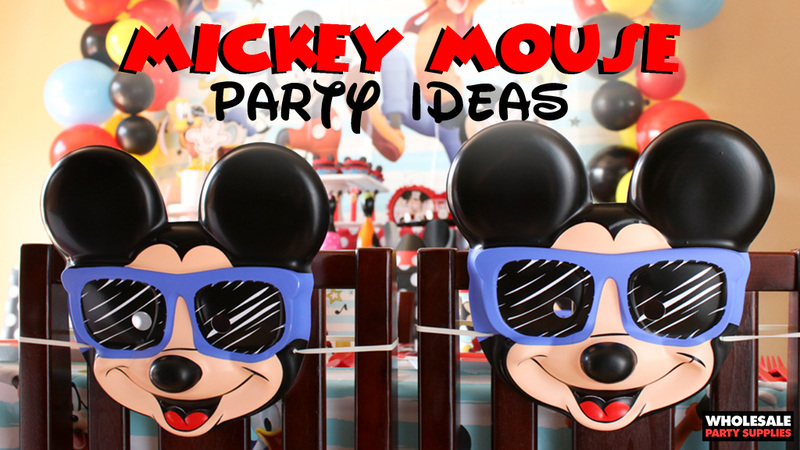 Not sure what party games to play at your Mickey Mouse Birthday Party? Don’t fret! You can turn pretty much any store-bought game into a Disney-fied version with the help of a little paint. 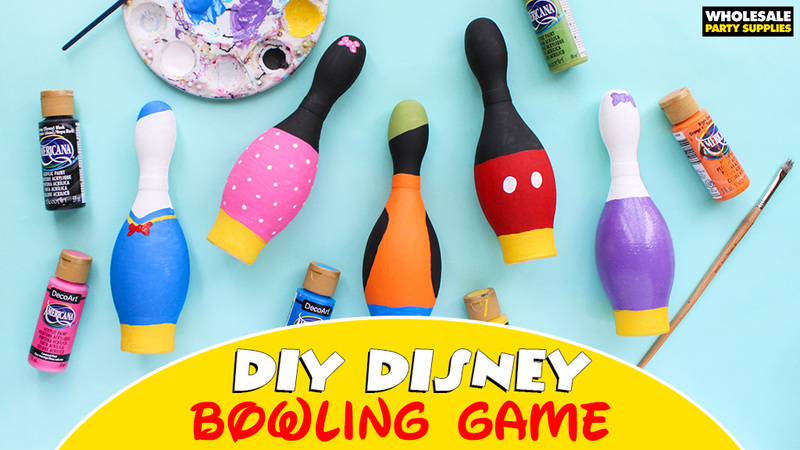 See how to transform a basic bowling game into a minimalize Disney style bowling game with the help of some acrylic paint and a creative mind. This post was written, styled and shot by Tara at Spot of Tea Designs. Click that link and say hello! First peel the sticker stuck around the neck of each bowling pin. Begin with the largest color area first and begin painting your design. Complete additional layers, if desired. 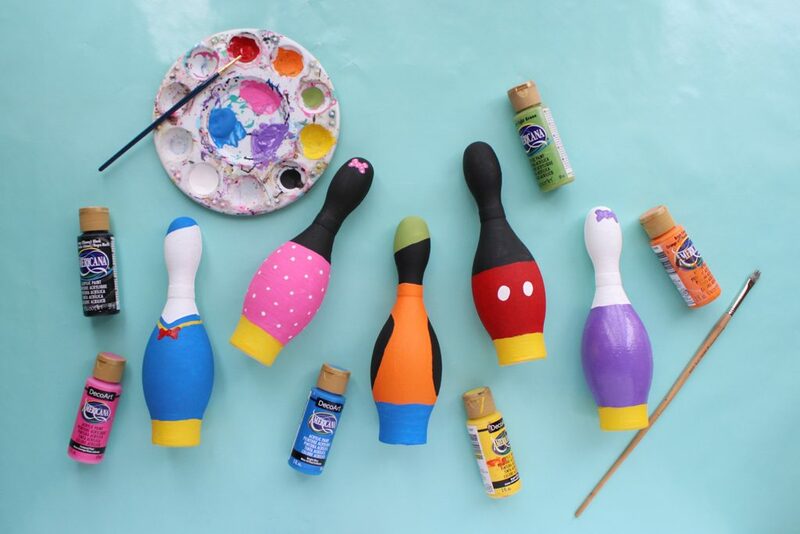 Add final details to complete your Disney bowling pin. 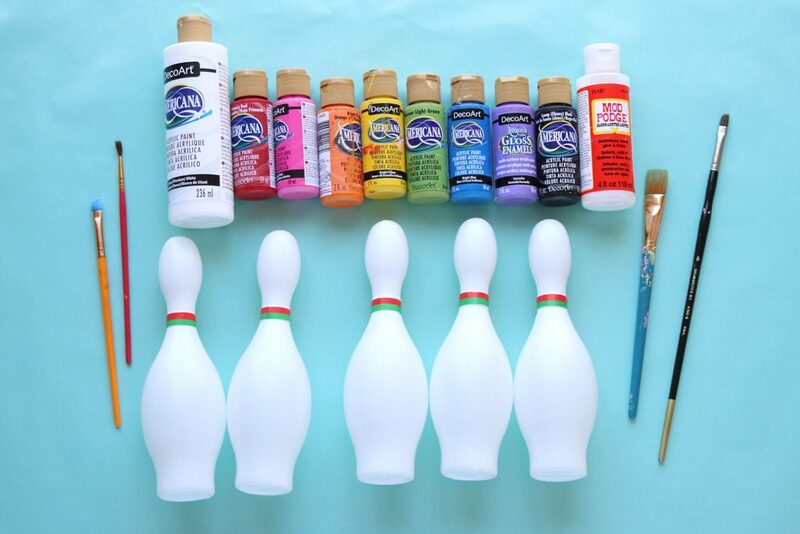 To avoid the paint chipping after the first friend knocks down the pins, apply a coat or two of decoupage glue, such as Mod Podge over the full surface and allow it to dry completely. 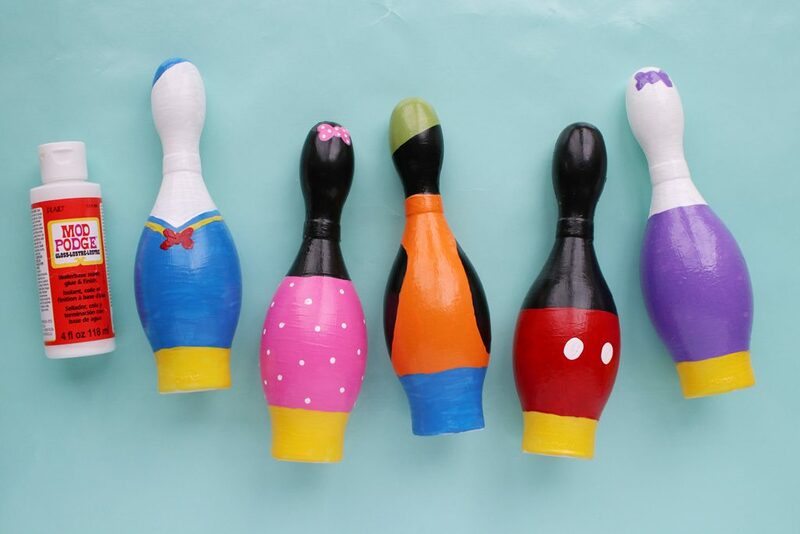 Even if you think the character isn’t coming through with this minimalist approach, it will become more apparent when lined up next to their fellow Disney friends. 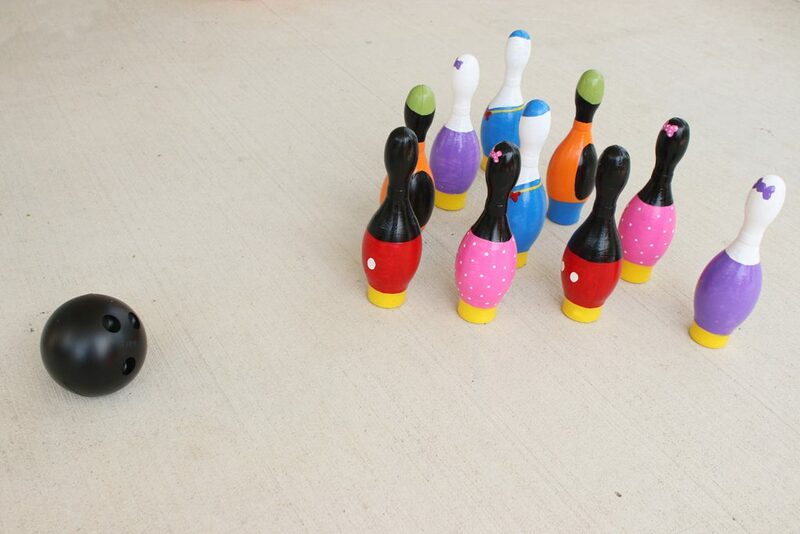 Once complete, line up all the Disney friends in the triangular bowling pattern and take turns to get a strike! 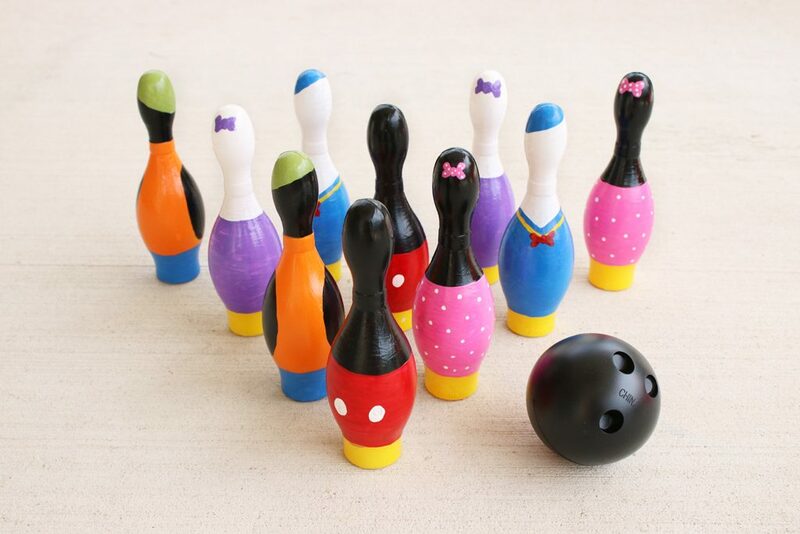 Friends will be bowled over for your unique bowling set that fits perfectly at your Mickey Mouse Disney party! 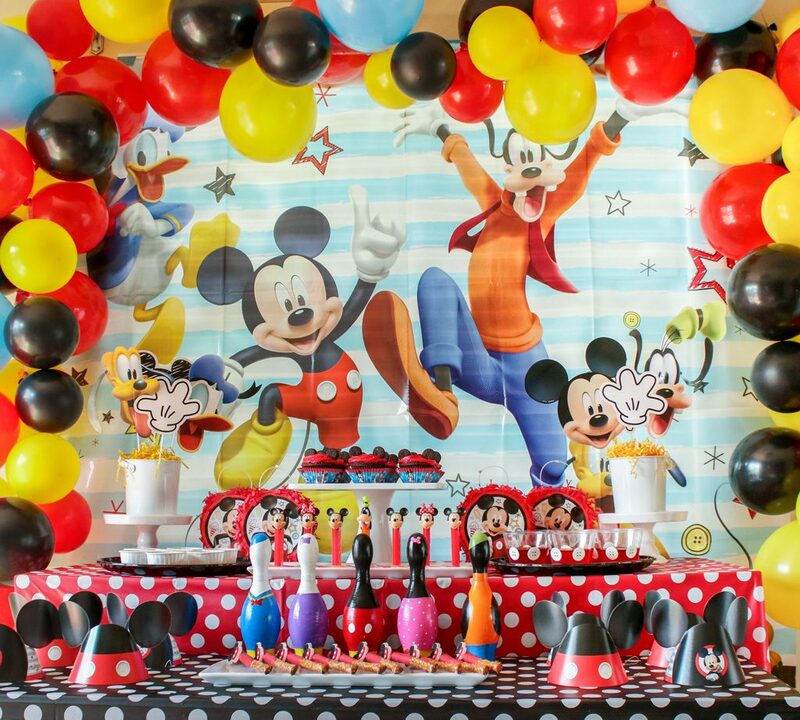 Planning your own Disney themed celebration? WholesalePartySupplies.com has all the Mickey Mouse Party Supplies you’ll need!